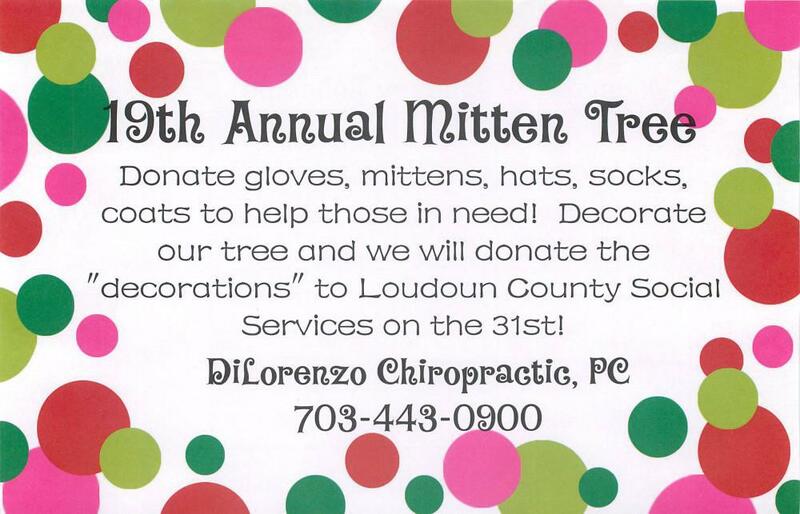 This Novemeber we will collecting donations of non-perishable food items to give to Loudoun Interfaith Relief. Donations will be accepted until November 30th. Canned meat or fish - tuna, chicken, stew, chili, salmon, etc. Any new patient who brings in 5 or more items will receive a free examination and two x-rays, as needed! 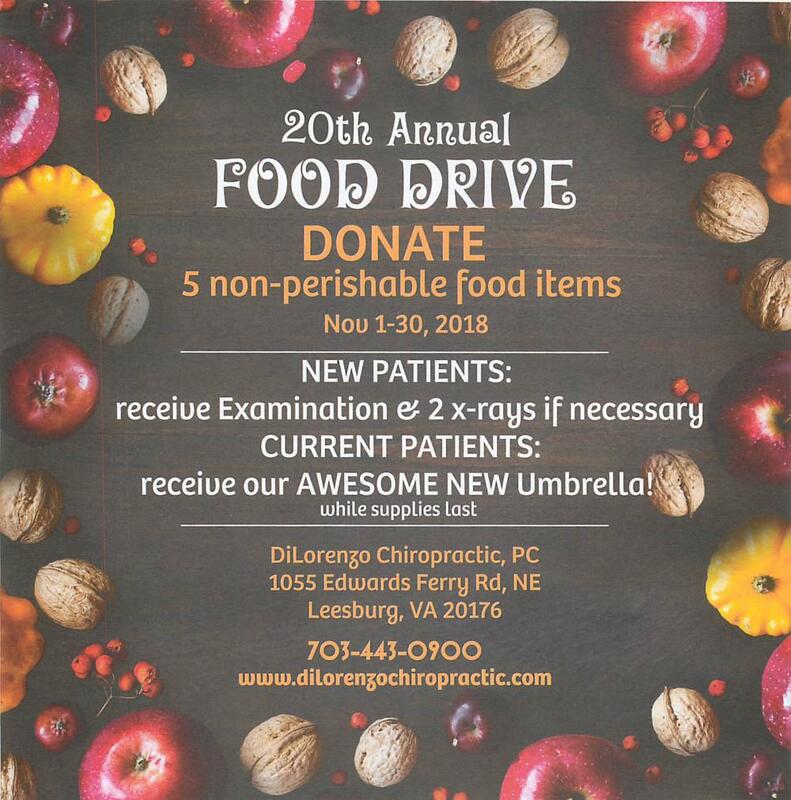 Current patients will receive a new DiLorenzo Chiropractic umbrella! Dietary treatment for injured patients and those with soft tissue involvement.